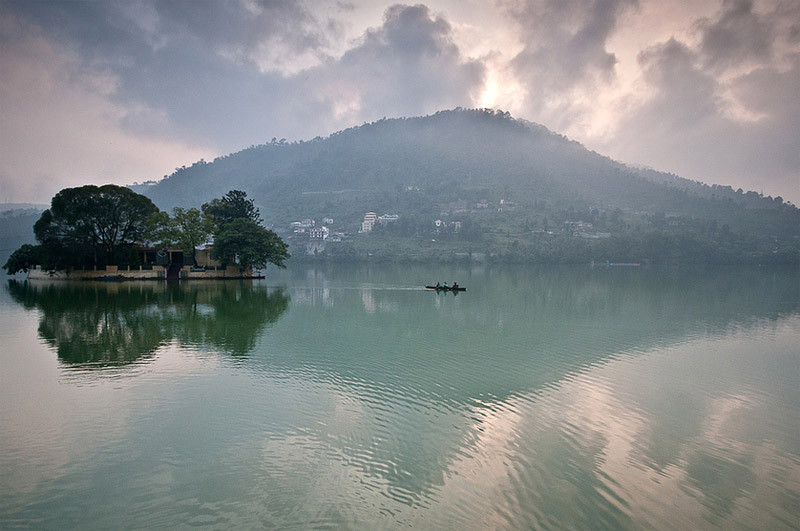 Bhimtal is a lake city named after Bhima, the charismatic mythological character of Mahabharata. 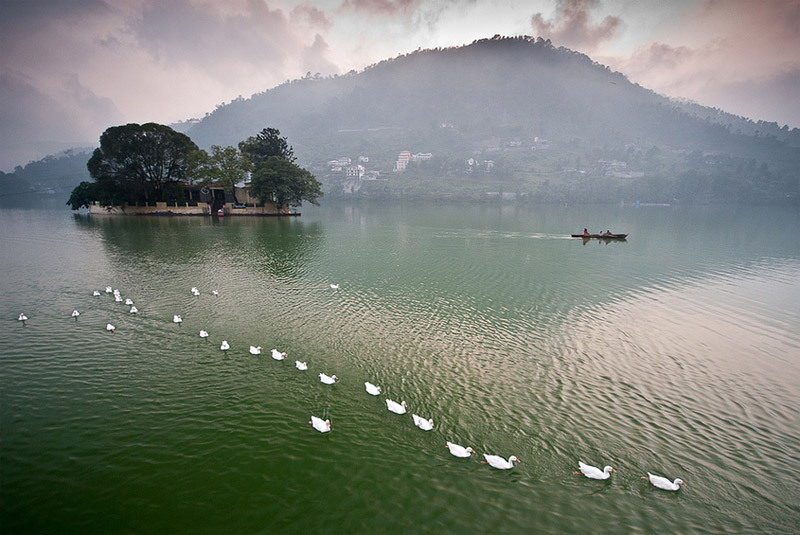 Revered for its aesthetic beauty, Bhimtal proudly sits at an altitude of 1,370 metres above sea level. This lake city is gaining popularity with each day as it is located in the vicinity of Nainital and features some of the stately hotels that are comparatively cheaper than that of Nainital. 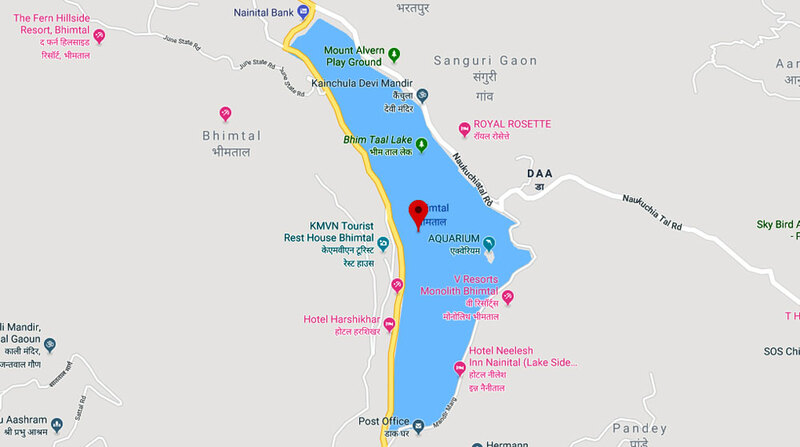 The Bhimtal lake is at a scenic spot with a small island at its centre on which there is a beautiful large aquarium which was previously a restaurant. 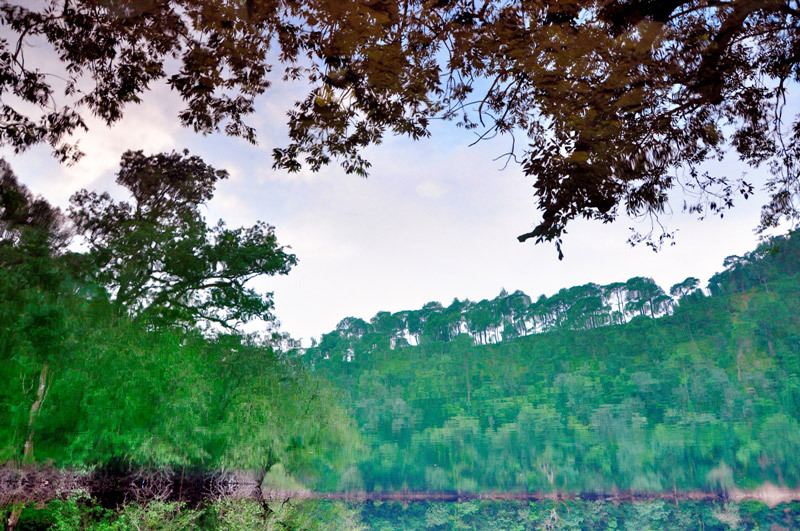 Bhimtal affords splendid views and visual vistas of nature's beauty. Bhimtal is well connected by roads and is a perfect destination to visit in any month. In contrast to Nainital that is always bustling with activity and crowd, Bhimtal is more of an idyllic place which is less crowded. This scenic lakeside destination is a treat for the love birds as they can enjoy boating, paddling, birding, nature walks and adventurous trekking here. To make the aura divine, Bhimtal also nestles some of the holy temples where many devotees flock for paying obeisance. One of the prominent places of faith in Bhimtal is the 17th-century Bhimeshwar temple, showcasing its intricate architecture. The tourists can also bask at the island bedecked in the midst of Bhimtal and enjoy the rays of glittering sun beaming over their face. 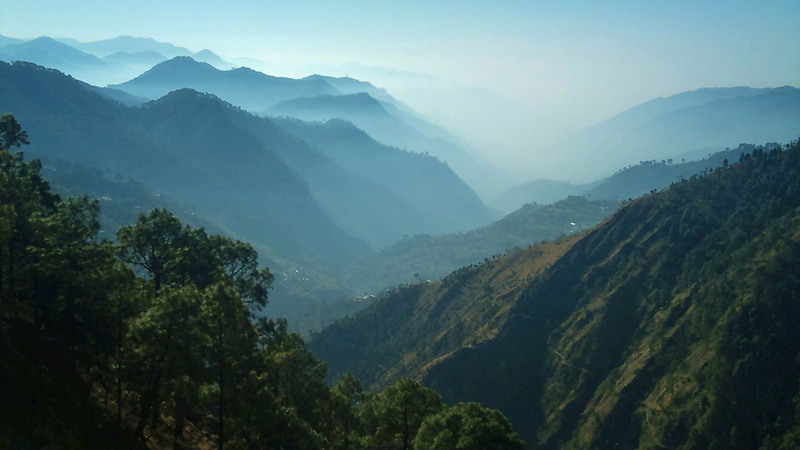 For excursions, one can visit Nainital, Nakuchiatal, Sattal that are at a stone throw’s away. 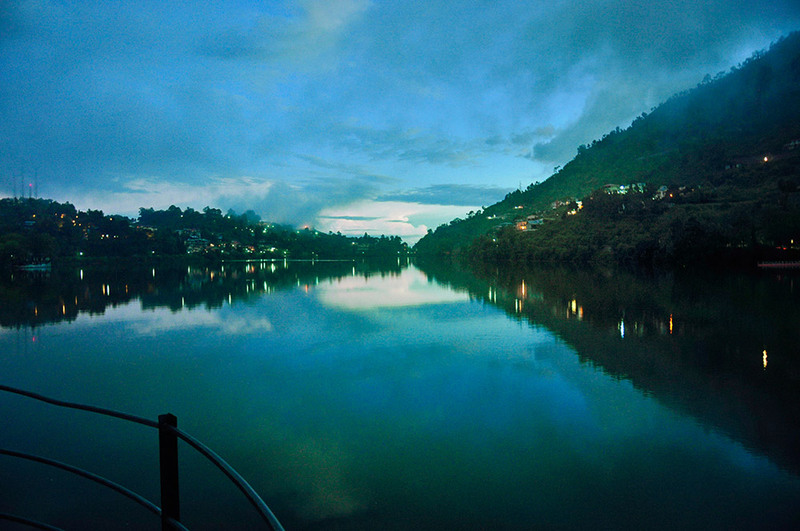 Bhimtal, unlike Nainital as is a peaceful and quite place which adds charm to the stay at here. Bhimtal provides ample water sport opportunities for amateurs with paddling and boating facilities. The island amidst Bhimtal is 91mts from the shore of the Bhimtal Lake. Bhimtal covers larger area than Nainital and thousands of tourists visit every year to enjoy the serene and pristine beauty of this place. Bhimtal is the favorite excursion of the travelers who visit Nainital and Haldwani. There are plenty of activities one can partake in at Bhimtal. Sightseeing, trekking, nature walk are some of the activities which tourists tend to indulge in during their visit to Bhimtal. Boating in the lake, which is larger than the Naini Lake, is also a viable activity for tourist and honeymoon couples. Being a popular tourist destination and its proximity to Nainital makes Bhimtal a desirable tourist attraction. Due to its close proximity to Nainital, facilities like ATMs, petrol pumps, cafes, and restaurants are easily available at Bhimtal. Bhimtal gets quite expensive doing the tourist season of April – May and in December-January. Travelling in offseason is easy on your pocket and it is less crowded. The lake town of Bhimtal, which is just 20 kms away from Nainital, is flocked with lot of accommodations ranging from luxury hotels and resorts to economical budget guesthouses that a tourist can choose according to their budget. Due to its proximity of Nainital, Bhimtal attracts lot of tourists during the winter season and the rates go through the roof during the tourist season in Nainital and hence staying at Bhimtal is a good option. Bhimtal has quite a few restaurants and eating joints which offer multi-cuisines ranging from Chinese, continental to the scrumptious Indian cuisine – both North Indian and South Indian. Apart from that, one can also enjoy street food like Momos which are available all over the place and sip a coffee by the lake side. The resorts and high-end hotels have in-house restaurants and bar. Bhimtal came under the British rule after the Anglo-Nepalese War also known as Gorkha War of 1814-1816. The pedestrian roads are still in use and are connected to Kathgodam along with different regions of Kumaon and also, Nepal and Tibet. It is speculated that the connecting routes might be a part of the ancient silk route. 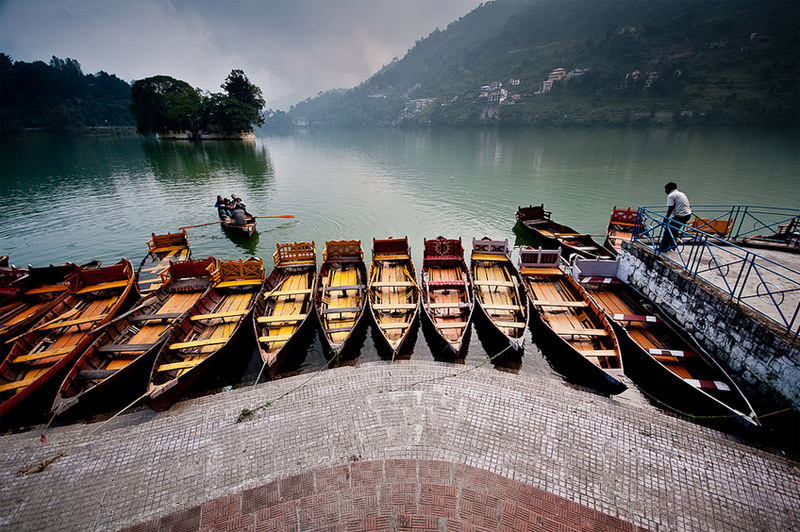 Many researchers believe that Bhimtal is older than Nainital which is around 150-160 years old. There is also a famous Shiva temple adorned alongside the Bheemtal lake which was built in the 17th century by Baz Bahadur (1638-78 AD), the King of the Chand Dynasty and also the Raja of Kumaon. Bhimtal has been named after the mythological character, Bhima of Mahabharata. It is believed that the famous lake of Bhimtal was formerly known as the ‘Bhimasarovar lake’ which used to be the stomping ground of the Pandavas As per the Hindu legends, Bhima and the other Pandava brothers visited this place during their exile. It is said that during this time, they were unable to find any water resource in the region to quench their thirst, so the mighty Bhima came to the rescue and made a sudden blow on the ground with his mace or 'gada.' There by, creating an opening or cavity in the ground that contained underground water. Hence, Bhimeshwar Mahadev temple was built along the Bhimtal lake in the memory of Bhima. Near Bhimeshwar temple, there is the source of Gargi River also known as Gola Nadi which originates from Garg Parvat or the Gagar village in Nainital district. Some of the touristy places of Bhimtal include the Victoria Dam, Aquarium on the Bhimtal Island and the Butterfly Museum that shouldn’t be missed at any cost. Map for representation only. Map NOT TO SCALE. What is Bhimtal famous for? Bhimtal is famous among tourist as Lake. Bhimtal is recommended destination for Corporates, Couples, Family and Kids, Foreigners, Groups, Solo. Bhimtal is popular destination for following activities/ interests - Boating, Christmas and New Year, Hill Station, Leisure, Weekend Getaway. Travelling to Bhimtal in 2019? Contact us for planning your Bhimtal tour with best travel packages of as per your requirements!